On Friday the Michigan Wolverines hosted their Pro Day for potential NFL players to showcase their ability up close to NFL teams and scouts. The Steelers had all hands and eyes on deck. General Manager Kevin Colbert, and coach Mike Tomlin were there along with several other members of the coaching staff. Usually when the Steelers bring the whole house it tends to tip their hand. In the past they’ve brought everyone to Wisconsin’s Pro Day in 2017 (TJ Watt) and to Virginia Tech last year when they eventually drafted Terrell Edmunds. The Wolverines have several potential candidates for the Steelers all over the field. That starts with middle linebacker Devin Bush. Bush could be the play making speed linebacker that the Steelers have longed for since Ryan Shazier was lost. Bush is compatible to Shazier in every way possible. Both have the speed to cover sideline to sideline and both have a way of finding the ball carrier. Bush could be the target in the first round by the Steelers. It’s likely they could need to move up to get him, though. While it’s possible Bush could be on the board when the Steelers are set to pick at no. 20, the lack of middle linebacker prospects make it a risk to stay put. A team like Baltimore could be looking to jump ahead of the Steelers to select Bush after losing CJ Mosley to the New York Jets. 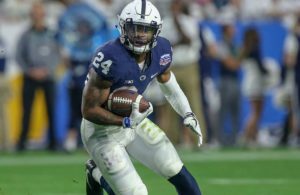 The Steelers really have no choice but to fill the glaring need in the middle during the draft. They need a dynamic playmaker in the middle. There isn’t any of those available in free agency. They also need depth after losing LJ Fort to the Eagles. Bush could answer the first problem. They’ll likely need to find depth in the middle rounds. Pass rusher Chase Winovich is climbing up draft boards after a solid work out on Friday. He also had the eye of several Steelers scouting. Including one with the last name Rooney. Winovich is a yinzer. He’s a graduate from Thomas Jefferson high school, and coming back home to play for the Steelers would be a dream come true. The Steelers love the tweeners. They always have. You can go back to Mike Vrabel, or as recent as Anthony Chickillo. Winovich played defensive and in college, but would transition to outside linebacker in the Steelers 3-4 defense. His transitions inside the rush lack fluidity. Winovich’s stock has gone up and he will likely be a day two selection. Don’t count out the Steelers going back to back with Wolverines. 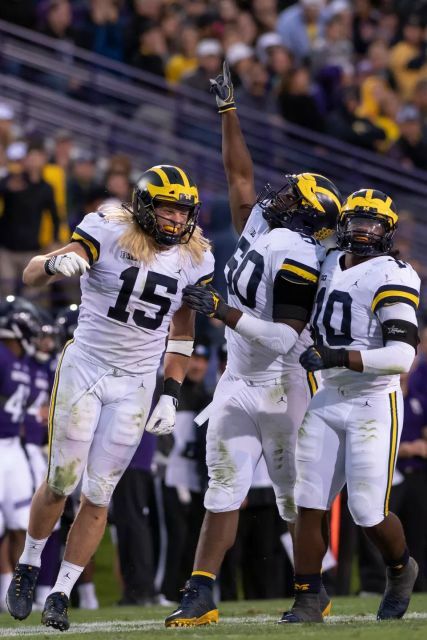 Winovich could also be there when the Steelers come on to the clock with their first selection in the third round. 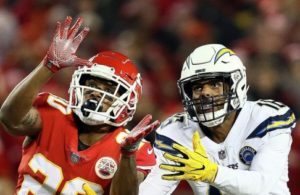 Re-tooling the linebacker position has taken over as a priority after the team signed cornerback Steven Nelson in free agency. They could get everything they need to do that if they double dip from Michigan. ← Previous Story Can Steelers Fans Will Justin Houston to Town?